Some handling wear to the cover - see fingerprint smudges. 100-pages in VERY GOOD condition with no missing pages or rips or creases. 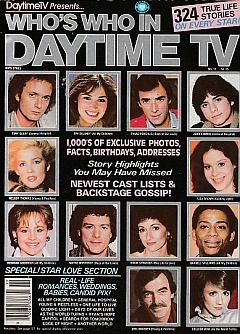 Click to be notified when 1983 Who's Who In Daytime TV GUIDING LIGHT-CAPITOL is back in stock!